Northern Lights experts, Off the Map Travel, are always looking for the best ways to experience the Northern Lights, and have this year launched the chance for guests visiting Iceland to experience the majestic Aurora Borealis floating around a secret Icelandic thermal lagoon, whilst enjoying an in-water massage and listening to relaxing underwater music. This new Aurora travel experience, is a truly special opportunity for those visiting Iceland, and is thought to be the first of its kind ever developed. If you get hungry on your Aurora floating experience, you can also dig up geothermally cooked bread and boil your own egg in the hot spring. Built in 1891, the Secret Lagoon is one of Iceland’s oldest swimming destinations, with its geothermally heated water held at a year round temperature of 38-40° (100-104 Fahrenheit). “Set in amazing natural surroundings with steam rising from the water’s surface, the experience of floating whilst searching for the Northern Lights is really magical. On arrival each guest receives a specially designed floating cap and supports for legs allowing you to effortlessly lie back in complete comfort. 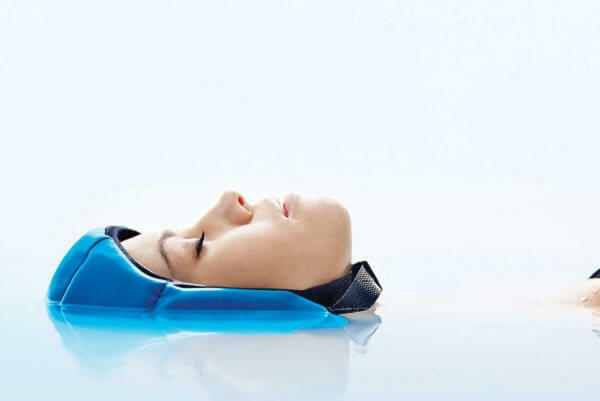 Floating is also well known for relieving stress and improving well-being. It is known to aid detoxification, help with pain relief, speed up injury recovery and anxiety, depression and insomnia. Experts say that one hour of floating is the equivalent of at least four hours of deep sleep. An optional 10-15 minute in-water massage is included as part of a visit. Combine this with the chance to listen to relaxing Icelandic music piped through underwater loudspeakers and you have a Northern Lights experience like no other. Lasting six hours, the Aurora Floating Tour leaves Reykjavik between 19:30 to 20:00 and arrives back at around 01:00 with the option to self-drive. The trip includes transfers; floating cap and support for legs, tasting rye bread made at Secret Lagoon, boiling your own egg, schnapps tasting, entry ticket to Secret Lagoon, and a 10-15 minute in-water massage. The Aurora Floating Tour is included as part of Off the Map Travel’s (www.offthemap.travel) five night Incredible Iceland package, a Northern Lights trip to Iceland costs from £999, excluding flights. This includes transfers, three nights in a 4* hotel in Reykjavik; an Aurora Floating Tour; two nights in a luxury self-catering apartment in Akureyi; a Northern Lights excursion; a day at the thermal baths, waterfalls and lava fields; a Golden Circle Tour and a visit to the Blue Lagoon.